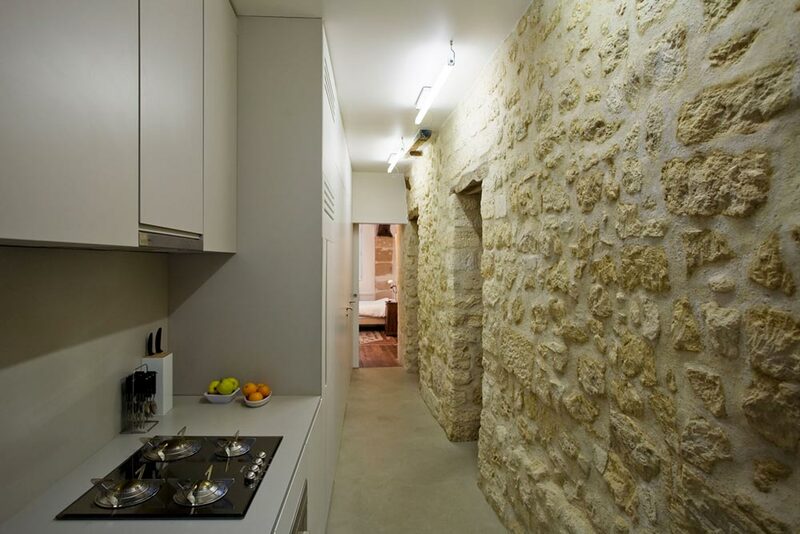 Apartment LI looks something like an archaeological find, heavy with stonewalls yet lightened by charming corners. 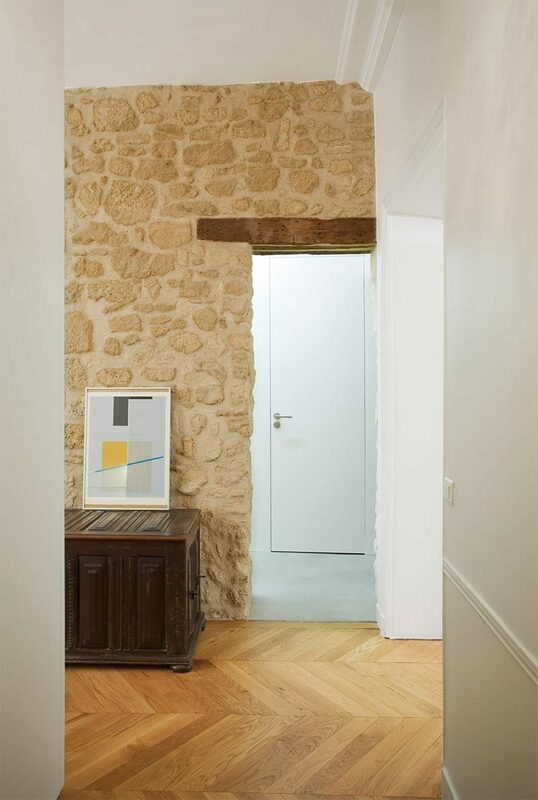 Originally, this tiny space housed horse-drawn carriages and tack gear for the main house, and has been expertly refinished by Anne Rolland Architecte. 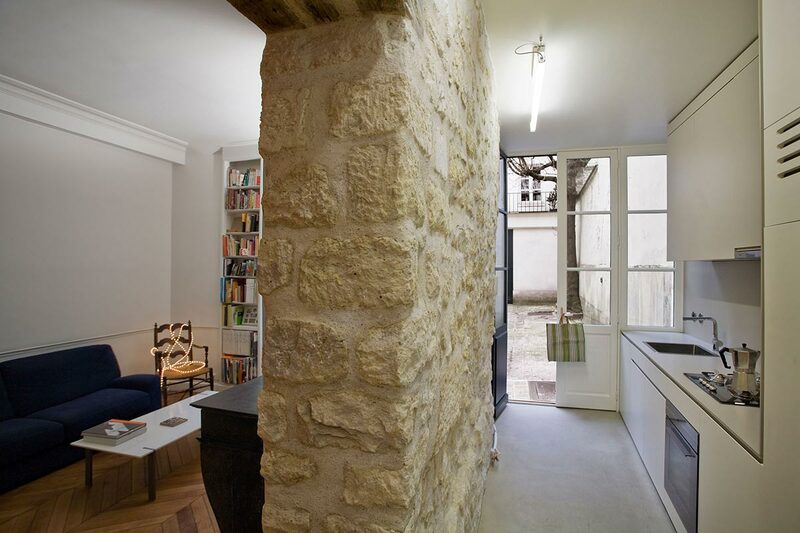 Set close to Seine, Paris, this small apartment is a ground floor unit within a building that is over 350 years old, which is noticeable amidst certain elements throughout the home. 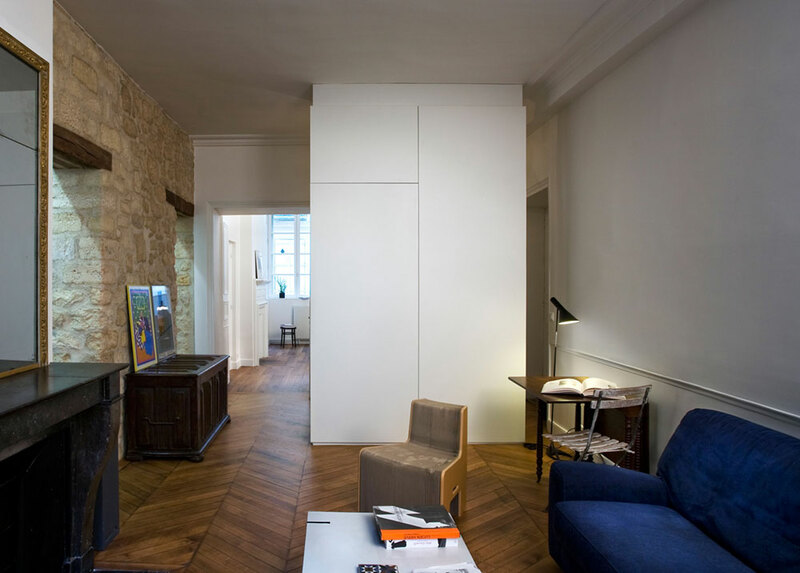 Elements such as the original rock walls that act as partitions for much of the space, tempered by upgrades such as the small slat wood flooring, which melds nicely with the tone of the stone, while maintaining a certain yesteryear rustic feel. 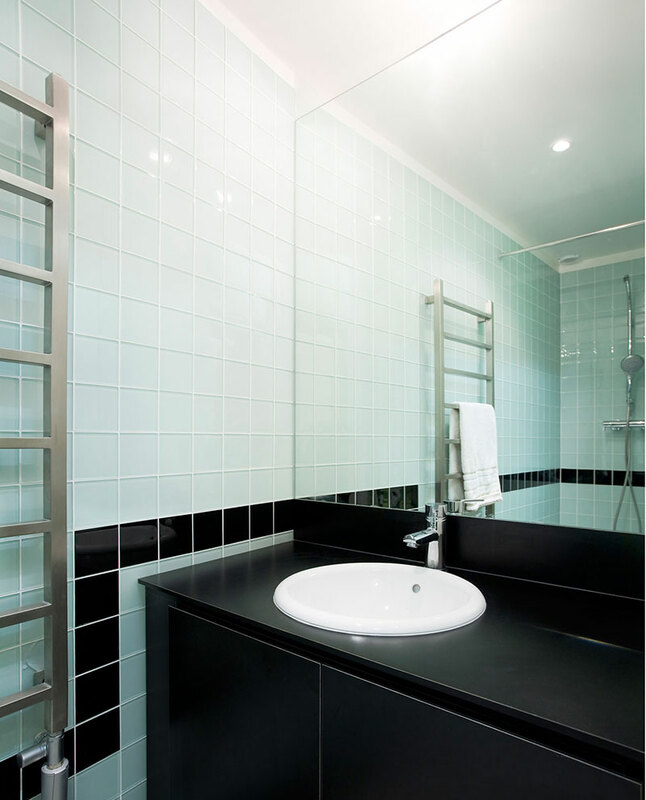 The bathroom is perhaps the most modern space in this apartment, with midnight black cabinetry and countertops and a white tile shower, pulled together by an accent stainless steel towel rack. 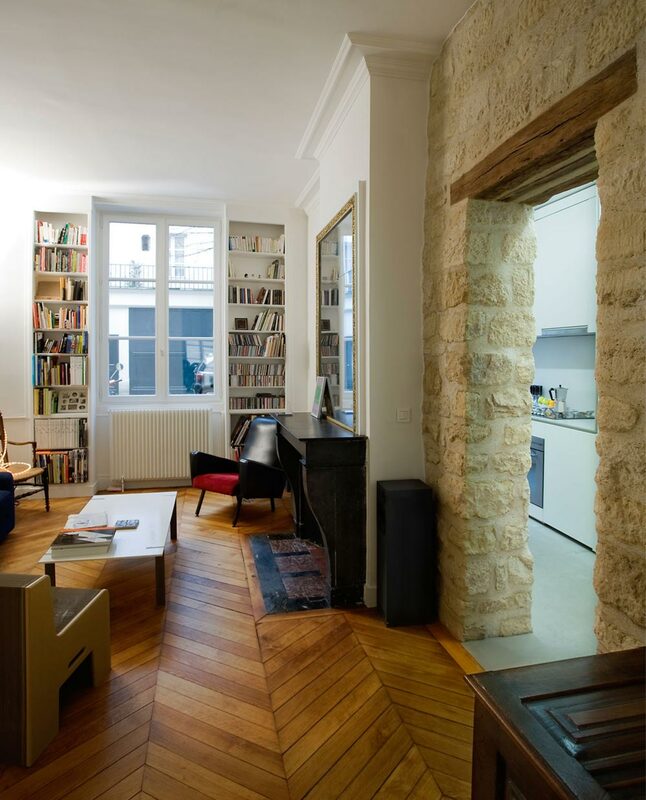 Radiant wall heating beneath a large white picture window is encased by two vertical bookcases, adding storage-style charm to this already suave apartment. The bedroom – although small – is also a quaint corner with simple furnishings and an accent throw rug that provides a hint of French appeal. And despite the fact that the kitchen is a narrow space, it is still a functional room that leads to an open terrace through tall glass-framed doors providing ample natural light throughout. 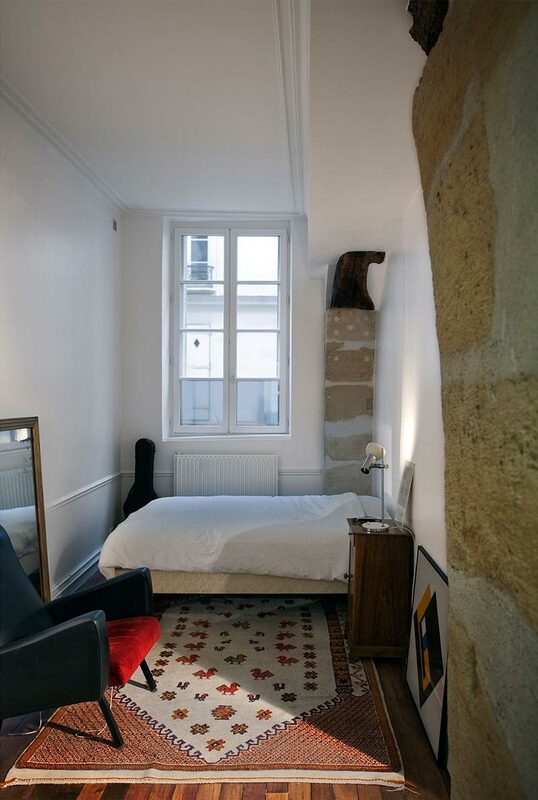 Apartment LI comes together beautifully with old-world Parisian charm that would bring a smile to even the most stoic of Frenchmen.